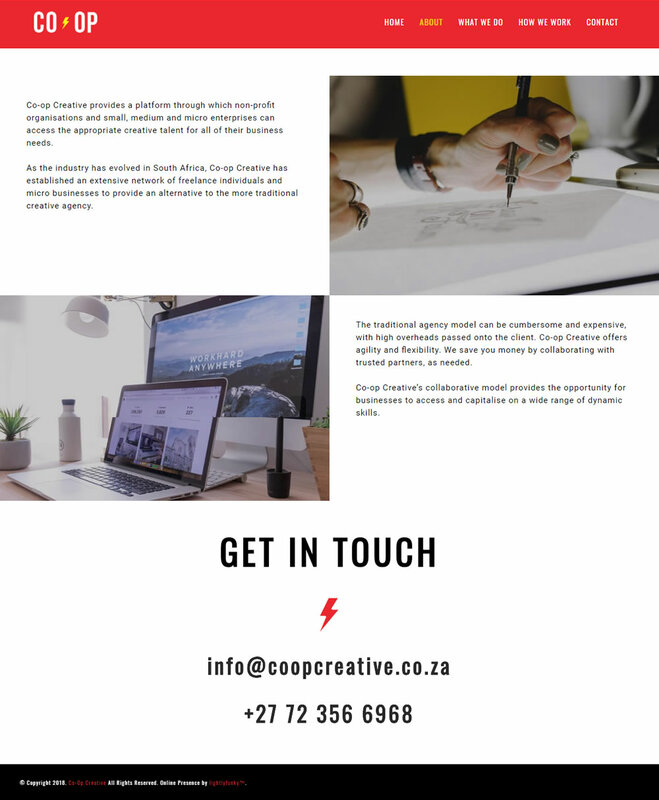 CO-OP CREATIVE Web Design – Co-op Creative provides a platform through which non-profit organisations and small, medium and micro enterprises can access the appropriate creative talent for all of their business needs. The website was designed using bold colours and a clean layout. WordPress is used as the CMS and the layout is built using responsive HTML and CSS to allow for best viewing on different screen resolutions. All rights reserved 2019. © lightlyfunky™.